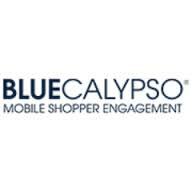 – DALLAS, Oct. 21, 2015, OTCQB, BCYP, (GLOBE NEWSWIRE) — Blue Calypso, Inc. (OTCQB:BCYP), an innovator of mobile consumer activation, engagement and social advocacy solutions for manufacturers and brick-and-mortar retailers, announced today that they have closed a round of private financing in which they issued and sold an aggregate of 482,500 shares of our common stock at a price per share of $4.25 resulting in gross proceeds to the Company of $2,050,625. The common shares also included warrants to purchase an aggregate of 482,500 shares of common stock which are exercisable for a term of five years at an exercise price of $4.75 per share. Merriman Capital acted as sole financial advisor in this transaction. “After several months preparing the Company for a public offering and uplist to the Nasdaq or NYSE exchange, the board decided to pull the offering based upon market conditions. We may evaluate an uplist strategy in the future, but for now we are focusing our energies on growing the business,” said Andrew Levi, Chairman and CEO. “As the public markets became volatile in late August and early September, the terms of our public offering eroded to a point that they were not in the best interest of our shareholders. 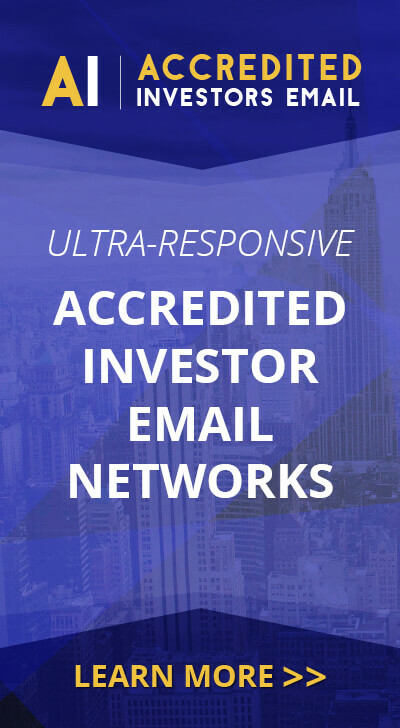 We were able to close this private placement on terms that we believe were both attractive to the Company and beneficial to our existing shareholders. We believe that the funds raised in the private placement will enable us to meet our short-term capital needs. We appreciate the commitment of our existing shareholders who invested in the private round,” added Levi. “On the operational front, we are encouraged by our growing pipeline, increased sales momentum and the market interest for our mobile marketing, in-store intercept and analytics solutions. Although we can provide no assurance that we will be successful in growing our operational revenues in the near term, if we are able to execute as presently expected, our current financial model indicates that we will not require additional capital in the near term unless we decide to expand the business more aggressively, or re-consider the uplist process,” said Chris Fameree, CFO. “Product manufacturers and brick-and-mortar retailers are all actively looking to evolve their in-store shopping experience to be more like an online path-to-purchase. We believe that we are very well positioned to be a market leader in this retail evolution,” concluded Andrew Levi. Forward Looking Statements. Statements in this press release that are not statements of historical or current fact constitute “forward-looking statements” within the meaning of the U.S. Private Securities Litigation Reform Act of 1995. Such forward-looking statements involve known and unknown risks, uncertainties, and other unknown factors that could cause the actual results of the Company to be materially different from historical results or from any future results expressed or implied by such forward-looking statements. In addition to statements which explicitly describe such risks and uncertainties, readers are urged to consider statements labeled with the terms “believes,” “belief,” “expects,” “intends,” “anticipates,” “will,” or “plans” to be uncertain and forward-looking. The forward-looking statements contained herein are also subject generally to other risks and uncertainties that are described from time to time in the Company’s reports filed with the Securities and Exchange Commission.